Couture Makeup Featured in Exquisite Weddings Magazine!!! | Couture Makeup Blog - Makeup Artist Serving San Diego and Orange County. Couture Makeup Featured in Exquisite Weddings Magazine!!! 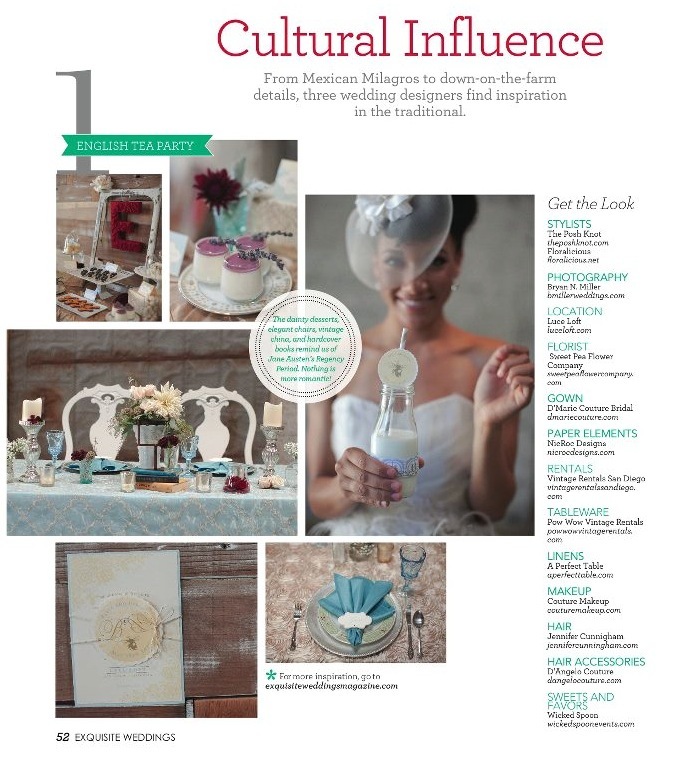 I am thrilled to see Couture Makeup featured in the Spring issue of Exquisite Weddings Magazine!! It was a beautiful shoot designed by The Posh Knot that was truly breathtaking! I modeled in the shoot and did makeup and styling for the two other models. It was a wonderful day filled with laughter and some of the most amazing and talented vendors in San Diego. Pick up your copy on news stands today! Later this week I’ll post tons more from the shoot along with some behind the scene details! Congratulations!!!!!!!!!!!!!!!! I am so proud of you! Another magazine with your amazing work mentioned in it. Sky is the limit!! This is such an amazing accomplishment. Couture Makeup is continuing to get bigger and more of the attention it deserves! Keep it up Katy, you have great things to accomplish.